We share how we use every app in our company and how they can help you become more productive. More than 100 pages detailing how we work. Every tool is illustrated with screenshots across the whole page so you can see how they work. As a software company, we need tools to collaborate, code, promote our product, and support our customers. This book lists every tool we use and how it helps us. The list is a result of running a business for over 9 years. 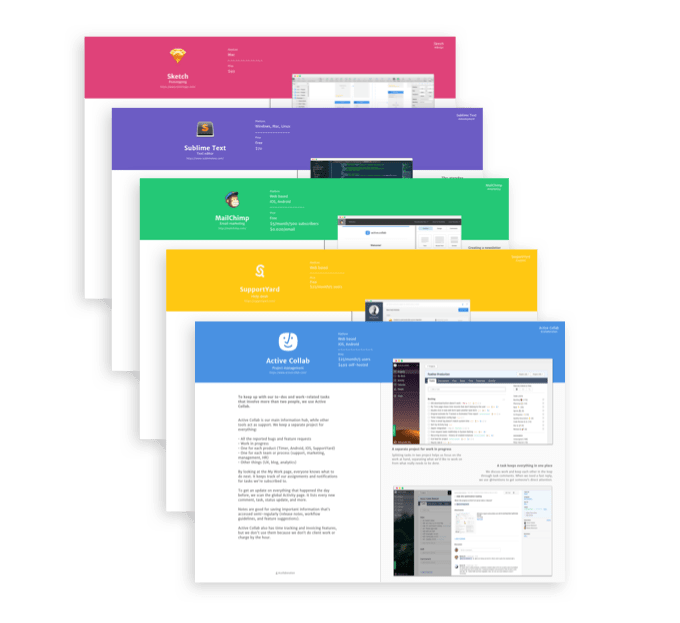 We started off with only a few basic tools, mainly for coding; as we grew, our needs grew with us: we needed to improve how we track our marketing campaigns, create designs and content, organize our work, and automate repetitive tasks. Some tools are free, some we pay for. To save you some time, we mark if there's a free plan and the price of a starter paid plan. The ones with a price tag are definitely worth it - they help us get the job done and make money. So when we pay $400 a month for a tool, we are getting our ROI. You’ll find a lot of different platforms: from web based apps, browser extensions, and command-line programs, to desktop and mobile apps. We mostly use Macs, but most tools on the list are web based, so it shouldn't be a problem if you're on Windows or Linux. We put some basic information about each tool (price, platform, type, website), real-life screenshots, and a short comment explaining each screenshot. You’ll notice we use a lot of tools that have the same functionality — that’s both because each has its unique purpose and people on our team have different preferences. We’re sure there are many more great tools out there. The ones on the list are what we’ve tried out so far. We'll update the ebook as we try and start using new tools. We hope you find something that’ll help you with your particular challenge, or just inspire you to try out a few new apps. 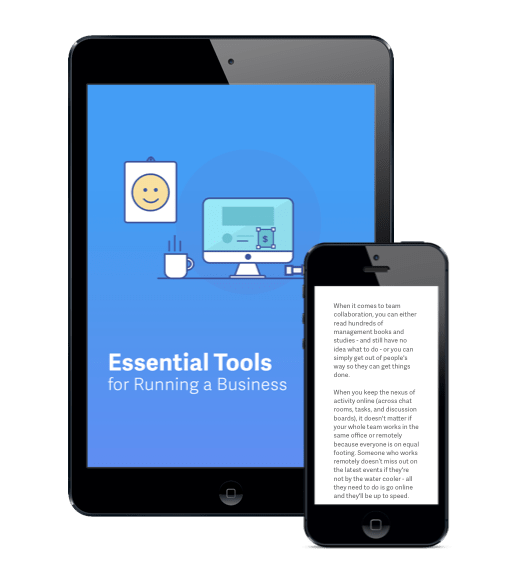 In this ebook, we reveal our every workflow and share 9 years of experience of running business: how to track our marketing campaigns, design and develop software, organize work, and automate repetitive tasks.